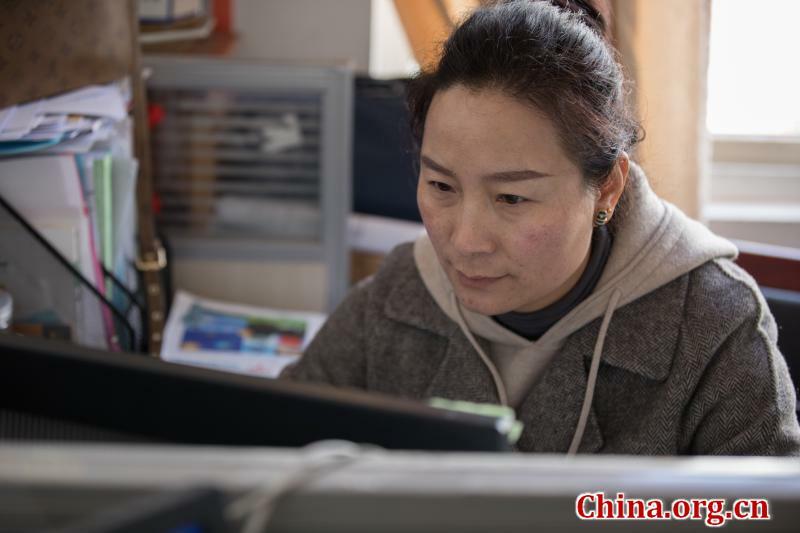 Tsering Qoixi, a Qamdo Experimental Primary School teacher who was a student at the school from 1988 to 1994, believes tremendous changes have taken place at the school over the past decades. Tsering Qoixi said in an exclusive interview with China.org.cn on Tuesday, "When I was studying at the school, there were about 80 teachers and only one teaching building. Now, the school covers an area of 15,268 square meters and has nearly 150 teachers, some of whom hold postgraduate degrees." The school curriculum has expanded from Tibetan, math, and Mandarin to include all subjects required by the Ministry of Education, she added. The primary school is located in the downtown area of Qamdo, a city in the east of China's Tibet Autonomous Region. The school dates back to 1951 and is the first modern school founded by the Communist Party of China in Tibet. 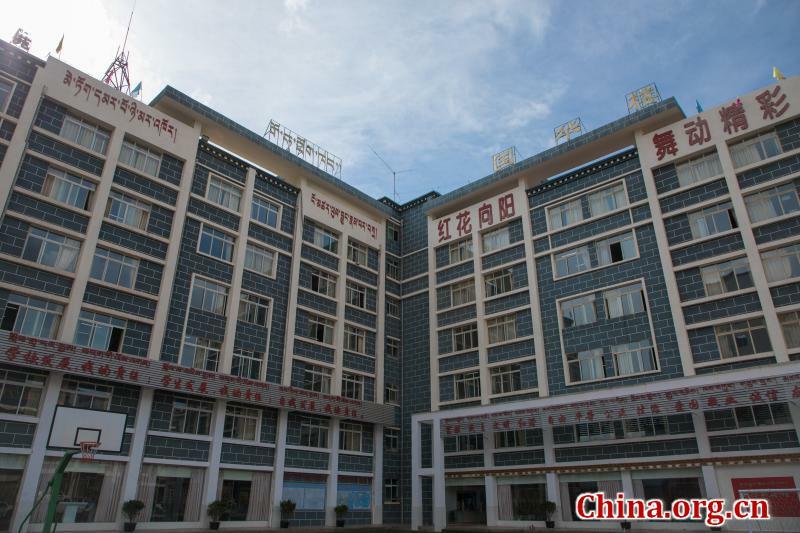 Headmaster Wu Xiaolong said that in the early days of the school, around 60 students were studying in shabby classrooms, but now it accommodates more than 2,200 students. The classrooms are now well equipped with electronic whiteboards and multimedia teaching machines. 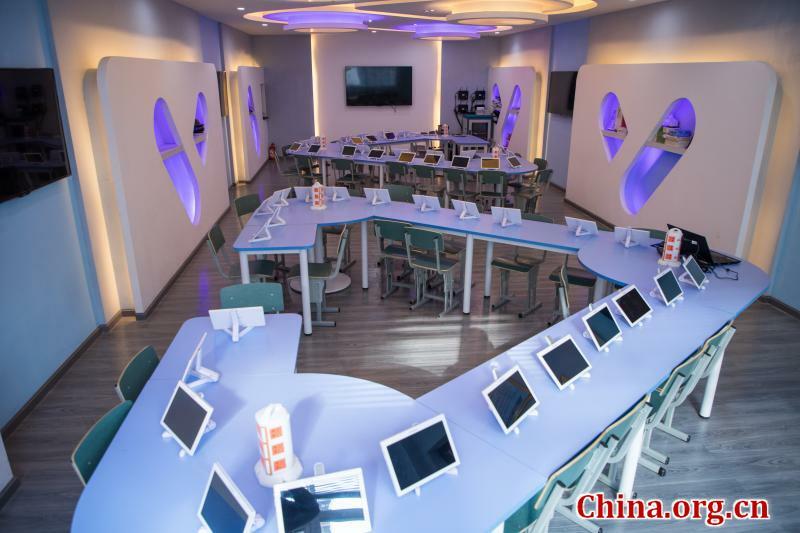 The school also established a digital classroom called "Future Classroom" in 2016, where four big TV screens replace a blackboard and students use laptops to interact with their teachers, Wu said. While promoting the application of information technology, the school also tries to preserve the local dialects and culture. 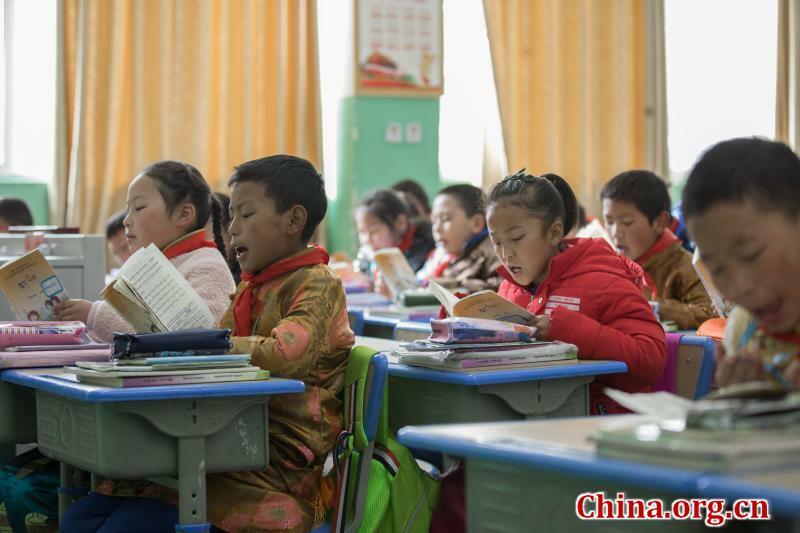 "Apart from the Tibetan class, we hold various activities, such as speech and reading contests to improve the students' language proficiency," said Tsering Qoixi. 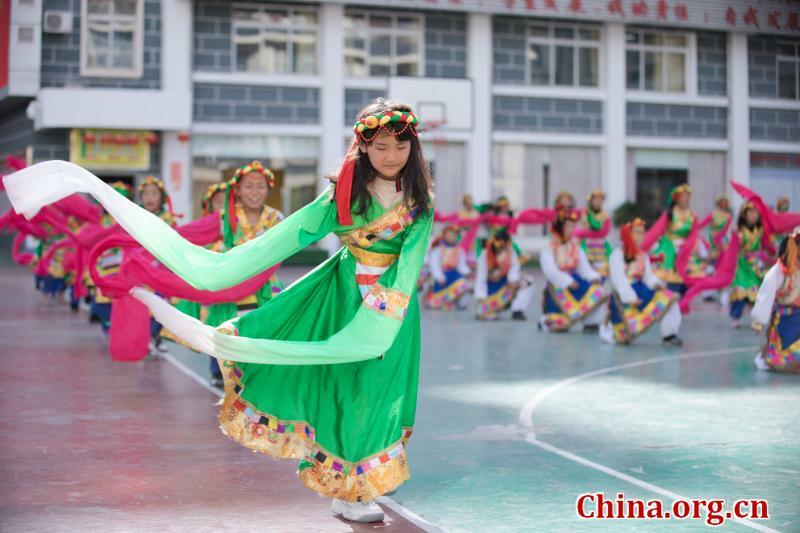 She said that Xianzi, a style of traditional Tibetan dance which was listed as a national intangible cultural heritage in 2006, has been adapted and incorporated into the school exercise routine. After graduating from the school, Tsering Qoixi got a chance to study at Minzu College affiliated with Hebei Normal University. The Chinese central government initiated the program in 1985, which enables excellent primary school graduates in Tibet to continue their studies in inland regions of the country. When asked about the major differences between the education in Tibet and other parts of the country, she said most of the students are children of farmers and herdsmen who have received little education, so teachers in Tibet need to put more effort into preview and review of their lessons. "After seeing how education has changed the lives of many people and families, local parents are becoming more eager to send their children to schools than ever before," Tsering Qoixi said. 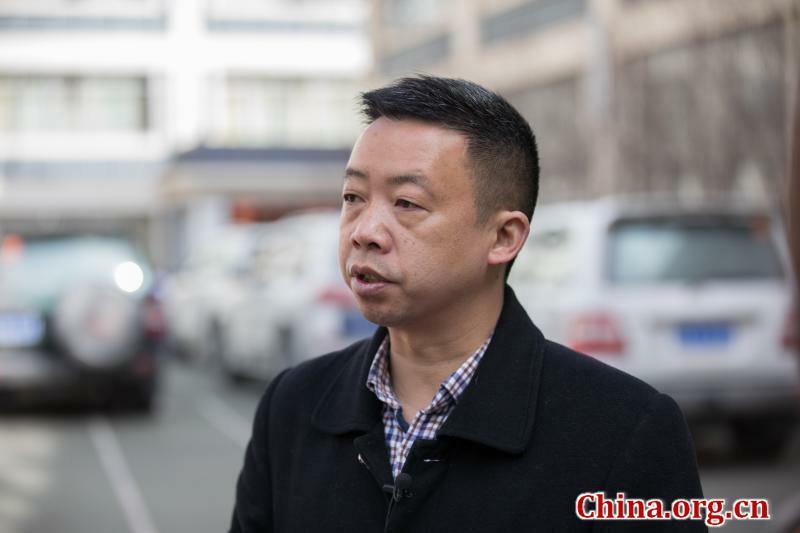 Headmaster Wu, who has been working in Qamdo for 23 years, also said that local people's attitude towards education had changed tremendously. "In the past, schooling for children had to be ensured by administrative means, but in recent years, local parents queue for enrollment into our school, with the aspiration that their children can enjoy quality educational resources and become competent to study in more developed regions," Wu said. He attributed the substantial benefits to education and supporting policies introduced by the central government, saying that Tibetan farmers and herdsmen don't need to pay for the food, accommodation, and tuitions fees of their children in schools. In April 2016, China started another program to improve the quality of education in the region by dispatching teachers from developed regions to Tibet. By the end of 2017, about 5,400 teachers from 17 provinces or municipalities were allocated to 74 counties or districts in Tibet.